No. 43 Dodge Challenger SRT8 sells for $228,143.43! Dodge and Victory Junction Gang Camp partnered to auction the 43rd 2008 Dodge Challenger SRT8 on eBay and the winning bid of $228,143.43 was placed by Richard Martin of Delaplane, Va.
"Dodge is elated the auction of the only B5 Blue 2008 Dodge Challenger SRT8 raised so much money for such a worthy cause," said Mike Accavitti, Director - Dodge Brand, SRT and Motorsports Global Marketing. "I have a deep respect for the work that Kyle and Pattie Petty and all the folks at Victory Junction Gang Camp do, it is truly an honor for Dodge to be able to help further their mission." "We are extremely excited that the No. 43 Dodge Challenger has raised $228,143.43 for Victory Junction Gang Camp! ", said Kyle Petty, Victory Junction Gang Camp Founder. "It has been a pleasure working with Dodge on this program and we are very thankful that the car raised enough to send so many children to camp." 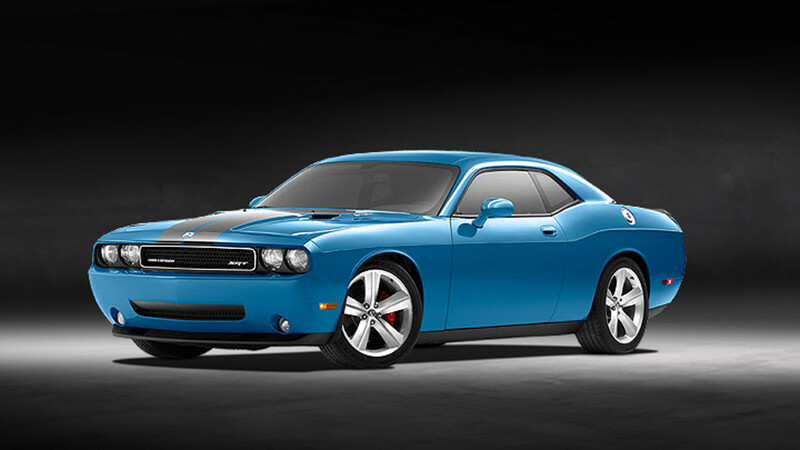 The all-new 2008 Dodge Challenger SRT8 marks the return of the iconic nameplate as a modern muscle coupe. The limited-edition 2008 Challenger SRT8 features the proven 6.1-liter HEMI V-8 engine mated to a five-speed automatic transmission, a race-inspired interior and an exterior design that stays true to the Challenger heritage while delivering a host of modern features and technologies, and "race-inspired, street legal" SRT DNA. Dodge auctioned the no. 1, no. 2 and no. 43 2008 Dodge Challenger SRT8 vehicles raising more than $800,000 for three charities - United Way of Southeastern Michigan, notMYkid and Victory Junction Gang Camp. "It is great that the enthusiasm people have for the all-new 2008 Dodge Challenger SRT8 has been the catalyst that will help so many people," Accavitti said. "Consumers couldn't wait to get a new Challenger, and that excitement will benefit the lives of young people throughout the United States through these three organizations." The 2008 Dodge Challenger SRT8 made its worldwide debut on Feb. 6 at the Chicago Auto Show. It has a U.S. Manufacturer's Suggested Retail Price of $37,995 and will arrive in Dodge showrooms in May. Victory Junction is a year-round camp that serves children, ages 7 to 15, with a variety of health issues. During the summer they offer week long disease specific sessions with up to 125 kids per session. During the Fall, Winter and Spring they offer family weekends with up to 32 families per weekend. Victory Junction Gang Camp has a racing theme with the sights, sounds, look and feel of a race track! The Camp is comprised of 44 buildings, including the Goody's Body Shop medical center, the Hendrick Motorsports Fuel Stop dining hall, the Silver Theater, the Kyle Petty Charity Ride Across America water park, Adam's Race Shop, the Michael Waltrip Operation Marathon Sportscenter, Jimmie Johnson's Victory Lanes bowling alley, the Kurt Busch Superdome, Jessie's Horse Power Garage and much more! Victory Junction Gang Camp operates solely on the donations of wonderful corporations, organizations and individuals. Children that attend Victory Junction would not otherwise be able to attend a camp because of their medical needs. For more information on the Victory Junction Gang Camp check out their website at www.victoryjunction.org. With a U.S. market share of 6.4 percent, Dodge is Chrysler LLC's best-selling brand and the fifth largest nameplate in the U.S. automotive market. In 2007, Dodge sold more than 1.3 million vehicles in the global market. In the highly competitive truck market, Dodge has a 15 percent market share. Recently, Dodge introduced the all-new 2008 Dodge Grand Caravan with 35 new or improved features including the newest innovation, the Swivel 'n Go seating system. Dodge is entering key European volume segments with Nitro, Caliber and Avenger. The all-new 2009 Dodge Journey will debut in 2008 calendar year, and will be available outside North America in both left- and right-hand drive in mid-2008. Also in 2008, Dodge will introduce its modern muscle car the all-new Dodge Challenger.